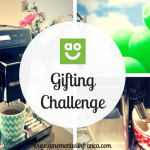 Last year we took part in a really cool gifting challenge with AO.com for Black Friday? Well this time, we got the opportunity to do it all over again, but this time for Valentine’s! 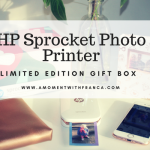 I absolutely love these type of challenges, especially if we get to choose a lovely gift for someone else! 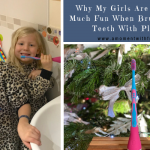 AO.com asked me to nominate another blogger to be part of the challenge, so I asked my lovely friend Tracey from One Frazzled Mum. As soon as I asked Tracey, she was on board straight away. This is always a fun challenge to do, so I was really looking forward to doing this with her. 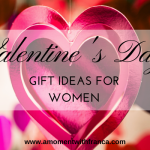 The challenge was to pick something for her from a list of products that are trending at the moment and that I think Tracey would like to have. This is always hard to do because you can get it wrong. I guess if you pick something that you love so much that you would love to have it too, then the picking becomes easier! Tracey would do the same for me. The beauty of the challenge is that neither of us knew what we were getting so it was going to be a surprise for both of us which is always a lot of fun. I was very excited to see what would turn out at my door, LOL! The idea behind this is that this is the time of year that we have a lovely excuse to show someone special how much we care about them. Perhaps also, we want to just say thank you to someone for being there for us. As you know it was Valentine’s this week and we sharing lots of love and celebrating friendship! The list of products was amazing. There were vacuum cleaners, food processors, coffee machines, etc to choose from. I remembered that Tracey was complaining about her existing vacuum cleaner and that she needed something better. She also mentioned that it would be great to get something that would help her to clean her car. 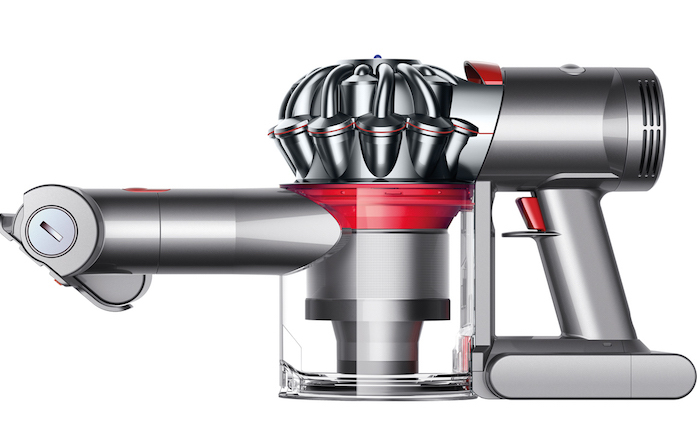 After seeing the list I chose the Dyson V7 Handheld Vacuum. I was certain that Tracey would be over the moon with this item! On the day that she received her Dyson v7, she couldn’t believe it! She was so happy which obviously made me happy too! 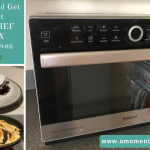 You can read all about my surprise gift for Tracey. OMG, I was quite anxious to find out what Tracey had chosen for me! When my item arrived, I was so excited! Well, I literally had the biggest smile ever! She had chosen my gift really well because I was actually looking at this not long ago. She got me a vacuum cleaner too but mine was a different brand. 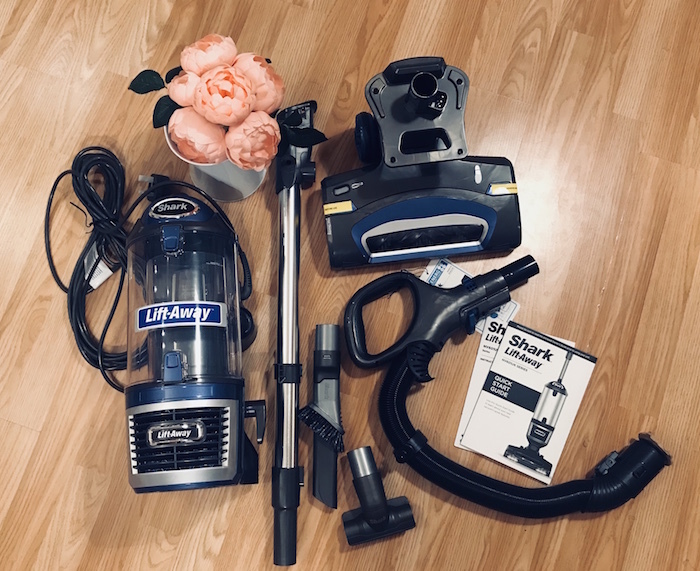 I was glad she chose this one because we already have a handheld Dyson vacuum which we absolutely love but I was actually looking for a new upright vacuum cleaner to complement the Dyson. 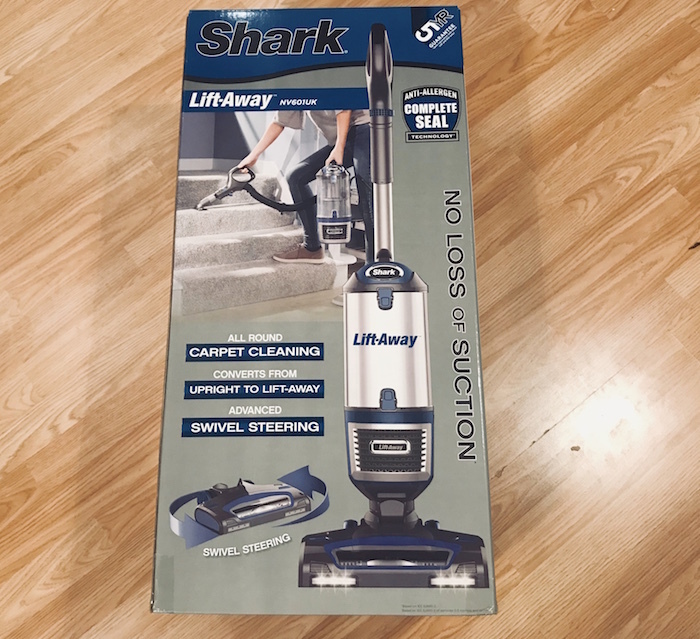 We received the Shark Lift-Away NV601UK Bagless Upright Vacuum Cleaner. I really want this vacuum cleaner for the days when I am doing a big clean at home as I was using the Dyson for everyday little dirt. It is very good and we love it! The Shark is a powerful vacuum cleaner. You have the option to change between hard floor and carpet which is very handy. I love a lot the option of the LED lights. It helps you to see better the area you are trying to clean. 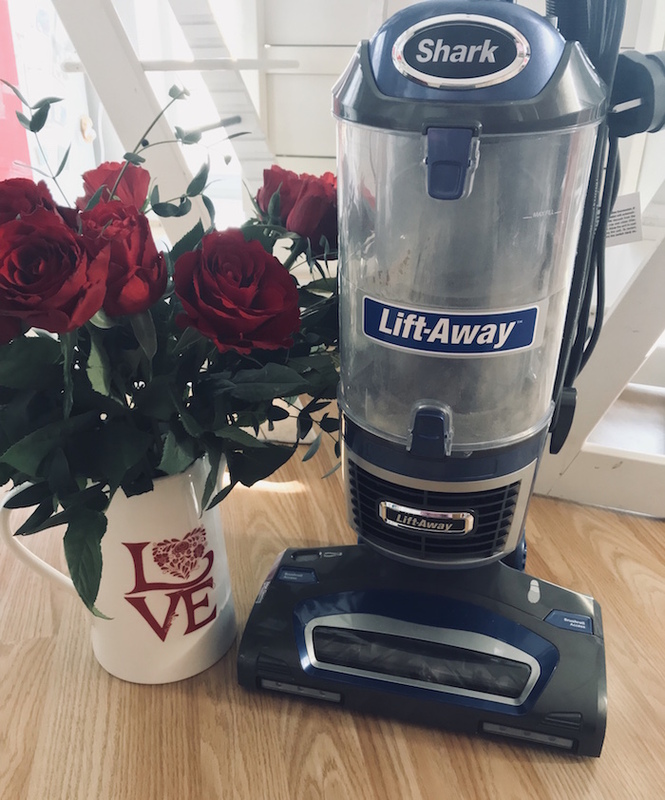 The Lift-Away feature makes vacuuming so easy. 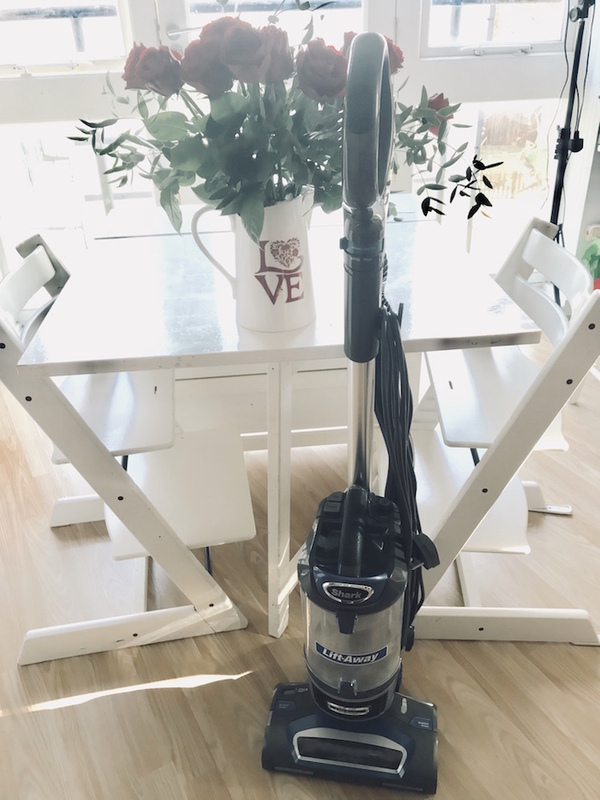 You can go from upright to portable vacuum mode in seconds for convenient stair and perhaps above the floor cleaning. 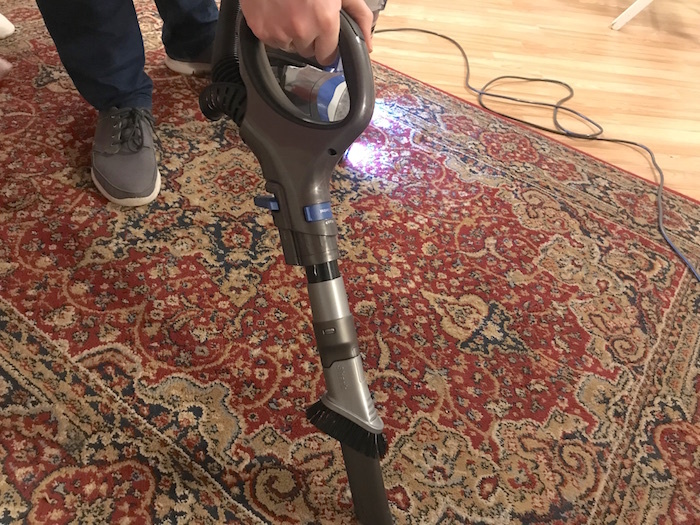 This lets you detach the cylinder from the base, giving you a more versatile option for vacuuming tricky spots and hard-to-reach areas. 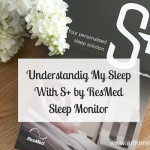 It also has anti-allergen complete seal technology which captures and holds over 99.9% in the vacuum. This is fantastic and the swivel steering works amazingly with very easy brushroll access. It is very easy to empty the cylinder too. Nick and I have both tried it and we think it is pretty good and powerful. It is easy to use and with the Lift-Away feature, you can reach everywhere. We both love the LED lights too. It makes a huge difference. The carpet mode is very strong. It really takes a lot without you even realising. 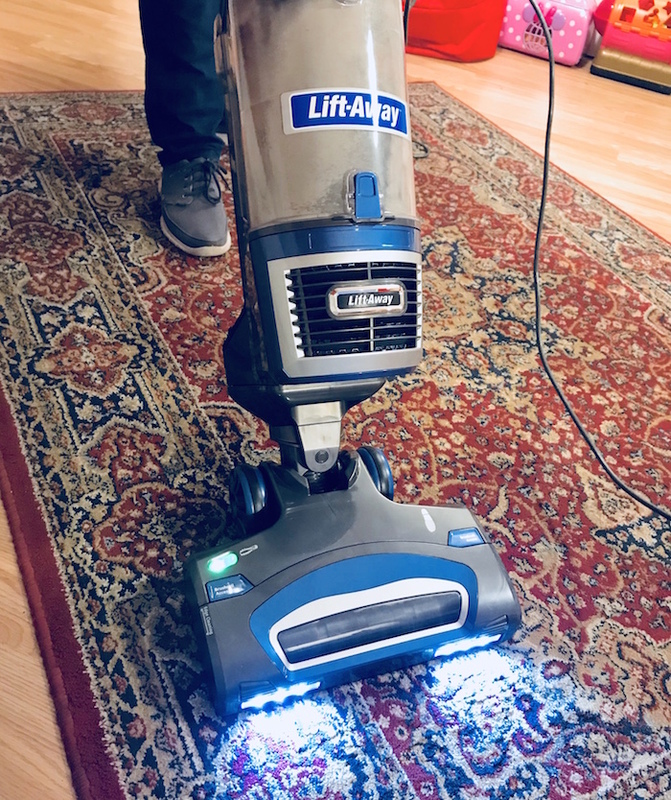 Overall it is a fantastic vacuum cleaner and we highly recommend it. Do you shop at AO.com too? What do you think of the gift that Tracey chose for me? 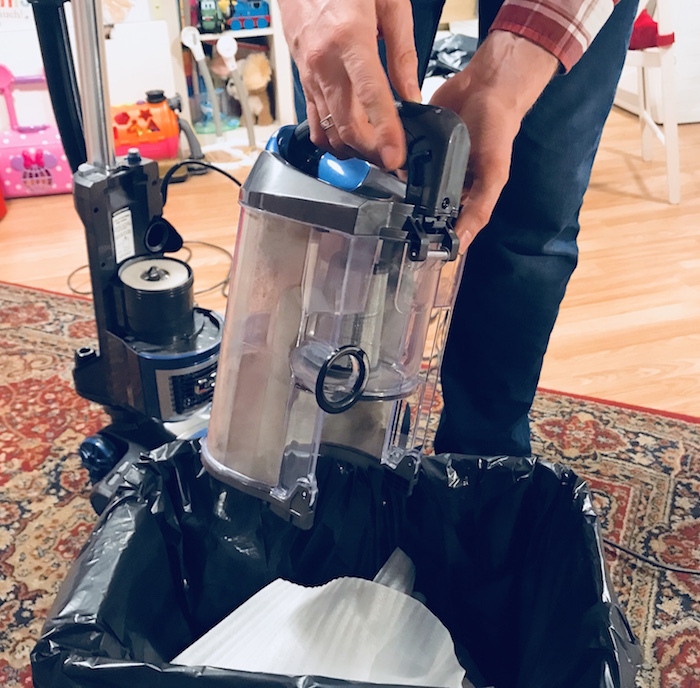 Have you heard of the Shark vacuum cleaner? *Disclosure: We were part of a gifting challenge organised by AO.com for the purpose of this blog post. However, all thoughts and opinions are my own. Looks really good, easy to use. Even better being lit up to see the dirt better. Would love one. I love my hand held Dyson, I would love it if someone got me a new one! Both vacums look great. 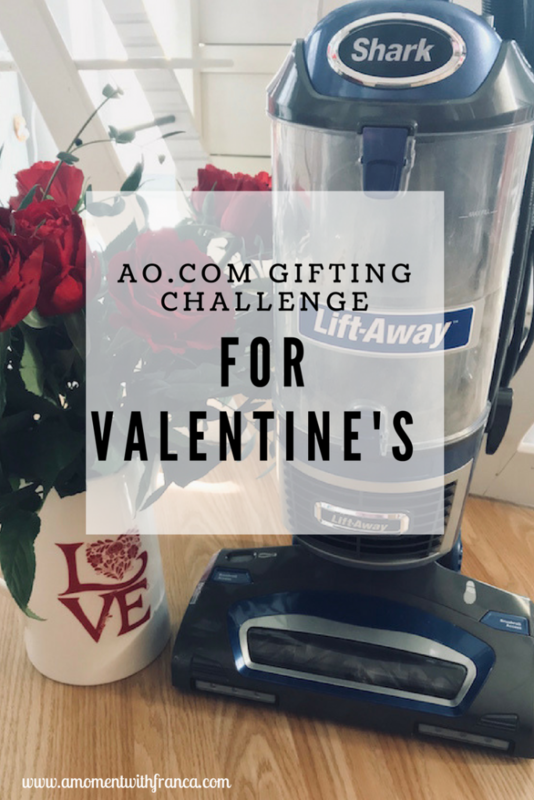 How funny that you both picked a vacuum cleaner for each other! I haven’t heard of a Shark one but I do have a cordless Dyson and it is really good.